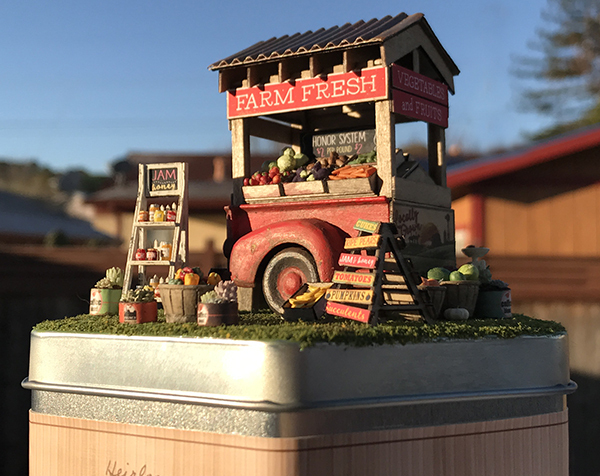 One of the the things that I enjoy about making miniatures is incorporating my experiences into the kits that I design. Before we moved from Wisconsin to California, I visited my mom, who still lives on the crop farm where I grew up. I wanted to channel the feelings that I had about the family farm into a creative outlet. On the family farm, my father farmed corn and soybeans. Under his patient guidance, I learned – among many things – how to drive tractors. I also learned that corn should be "knee high by the Fourth of July" (this was before the days of plant genetics)! It was these memories that I channeled into creating our first farm-inspired kit, A Bushel and a Peck. Recently, I've re-visited my farm roots to create The Farm Stand kit. 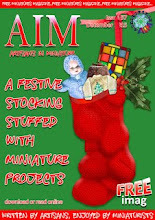 I hope that it brings a bit of joy and a feeling of nostalgia to other miniature enthusiasts. 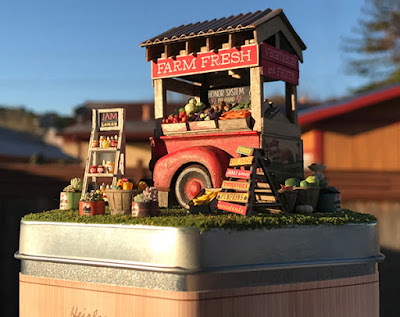 The Farm Stand, a quarter scale (1:48) Kit. 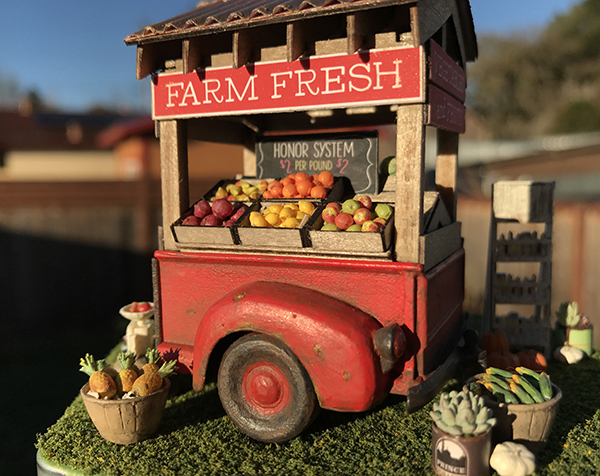 The Farm Stand is shown with the Farm Stand Accessories Kit.